Comes as 4-panel Luxus-Digipak with full panoramic graphics on the cover. Minimal but highly emotional drones to rich walls of sound, each title consists of subtle movements embedded in a colourful bed of several tone layers. The aim was to create an exceptionally warm-sounding album you can repeatedly listen to in situations requiring a "mental calmness" without cold / noisy tones or a harsh overall sound. The album was recorded, mixed and mastered with analog equipment to retain the unique sound delivered by non-digital hardware. 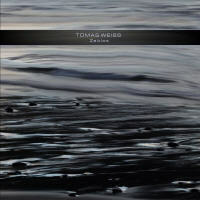 Feeling "Zeitlos" ("Timeless" in English) is doubtlessly a desirable state of mind for most if not all of us when searching for personal rest... and that's what the album is made for! Really digging Zeitlos, Tomas. A definite album of the year contender for me. "Zeitlos", drone magic at its most mindscaping!!! Bravo, Tomas!!! Ein Sophistry + Richard - once more, thanks for your nice feedback! Two of those albums ("Transpersonal" and "3rd Dimension") extensively use sounds and complete sections from the song "Løyndomsriss" by the band "Wardruna". 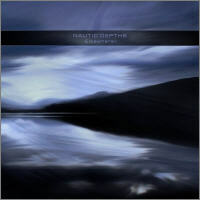 A track on another album ("Fata Morgana") uses the complete guitar and synthesizer section of the track "The First Snow" by the band "Drudkh". Finally on "Calibration", an entire track was taken from the previously released album "Perfume" by Klaus Wiese. As we are sensitive about copyright issues and have respect for the artistic works of other musicians, we have decided to delete the afore-mentioned CDs from our site, and el culto will cease to distribute these albums from now on. Despite this unfortunate news, we will still proceed with the re-release of "Himavat" in 2014, because the whole album (new mixing / mastering, covers, CDs) is already manufactured and was previously approved by Mathias (together with Himalaya and Dagaz). 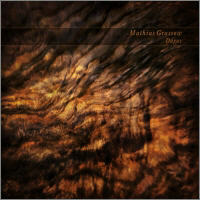 However, this will be the last album by Mathias directly released by el culto. Oh geez. That's really disappointing to read. This is very disappointing to hear. I like what I've heard of his more recent releases. I remember that on an early album ("In Search of Sanity," I think) he used an extended sample from one of Steve Roach's early 90s albums without getting clearance first. I think blatant plagiarism (piracy of sorts) is one thing, but 'reworking' material is a much more grey area. What do you need to do to a sound / sample to make it 'yours' ? I'm sure some legal musicologists would know. Is reversing it enough, for example ? Interesting point on the legality side, all manner of sample packs and ambient libraries are used 'as is' frequently. I used to work with a guy who used those Acid Loops CDs entirely to create (so called) 'Hypnosis music' CDs, which sold very well. Personally, I thought he wasn't doing much artistically to create them, but who's to say how people should use this material ? PLEASE guys…don´t start here a deeper discussion about legal terms (maybe a new thread for it in another section?). This here was only an info about some CDs with issues listed on el culto and why they are not available anymore. @Pete: It depends on national rules and contracts between states and also on royalty companies for author right. Here in Germany our highest court said, even 2 seconds is not allowed to sample. And if you want sample you have to have the permission and need to credit the source at least. Sample libraries are LICENSED to people who bought this package and can be used it as much as wanted afterward…same goes for AFAIK any synth and use of the included presets. BUT, some years ago even Spectrasonics asked for credits if you use some of their libraries for an official release! Apologies, I didn't mean to side-track your thread with heavy legal stuff, I was just trying to contrast what some people do with commercially available content to create music. "PLEASE guys…don´t start here a deeper discussion about legal terms"
If you want to talk about things like that or similar issue please open a new thread in one of the Hypnos sections!